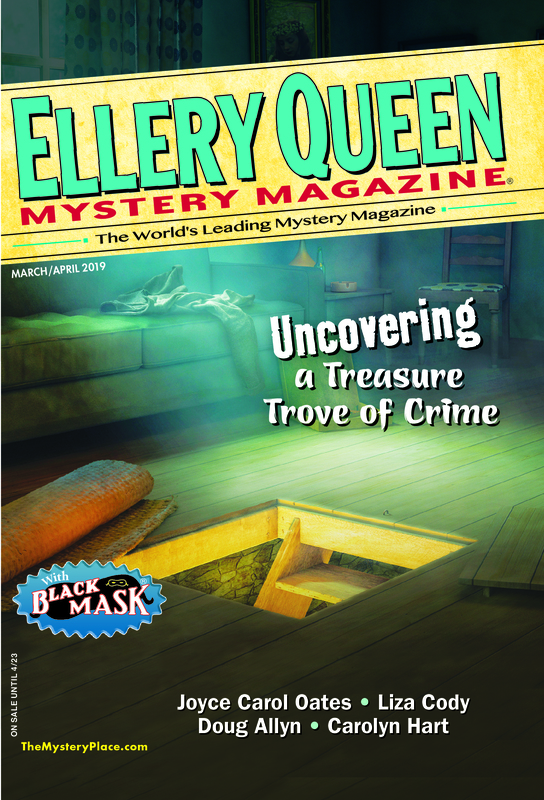 Yesterday, Ellery Queen’s Mystery Magazine’s new web-only column Stranger Than Fiction went live on our website. Written by award-winning Canadian author and journalist Dean Jobb, the new department explores the true-crime field through reviews of true-crime books and occasional articles about real-world crimes and criminals. It’s available—for free—on our website. Columnist Dean Jobb is a true-crime specialist with more than a half-dozen titles in print, including one of 2015’s most notable true-crime works, Empire of Deception. The story of a master swindler in 1920s Chicago, the book won both the Crime Writers of Canada and Chicago Writers Association awards, and earned rave reviews. The New York Times Book Review called it “intoxicating and impressively researched.” In addition to pursuing literary and journalistic careers, Dean Jobb teaches in the Master of Fine Arts in Creative Nonfiction program at the University of King’s College in Halifax, Nova Scotia. Stranger Than Fiction debuted with Dean’s roundup of choices for the best true-crime books of 2017, and that column will remain current until the beginning of February, after which it, like all future columns, will be archived on the site and remain accessible to readers. Going forward, each issue of EQMM will contain a preview of what’s coming up in Stranger Than Fiction, with the full text available only on our website. Readers of digital editions of the magazine will be able to click straight through from the previews to the full columns. Here’s your peek at what’s coming up: February’s Stranger Than Fiction, entitled “I Hear of Sherlock Everywhere,” explores, through reviews of new critical works, the creation and enduring popularity—130 years after he first appeared in print—of Arthur Conan Doyle’s iconic detective. A tie-in to EQMM’s annual Holmes tribute (celebrated in our January/February issue), the installment complements the special Holmes reviews provided in the magazine by Jury Box columnist Steve Steinbock. We are all so excited about this new department that I have to remind myself why EQMM waited so long to cover a segment of crime literature that has been recognized by the Mystery Writers of America through the Edgar Allan Poe Award category Best Fact Crime since 1948. The truth is that up until the early 1990s, it was almost an axiom in publishing that the readership for crime fiction had little overlap with the readership for true crime. That was, of course, before Patricia Cornwell came on the scene in a big way with the debut of her medical-examiner detective Dr. Kay Scarpetta, a series informed by the six years Cornwell spent working in the office of the chief medical examiner of Virginia. The series inspired TV shows like CSI in the fiction realm, and true-crime shows such as Cold Case, and it’s been argued that CSI’s lasting legacy is that jurors in real criminal cases have, ever since, expected conclusive forensic evidence. Conversely, fact appears to be influencing fiction in more profound ways nowadays, as writers draw upon real investigative techniques, police procedures, and even notorious crime cases in ever more detail to aid in the fashioning of their stories. There ought, therefore, to be a natural crossover of interest between modern mystery/crime fiction and true crime. Brussel called his approach reverse psychology. Today we call it criminal profiling. Whatever the term, it was still a virtually untested concept in the 1950s. Brussel’s role models at the time were fictional investigators, most notably C. Auguste Dupin, the reclusive amateur detective invented by Edgar Allan Poe in the 1840s. Dupin was the original profiler, a master channeler of the psychotic mind and the forebear of Sherlock Holmes and Hercule Poirot. How incredible to think that more than a hundred years after Poe constructed his complex fictional cases for Dupin, a real criminologist began to form a new science based on his sleuth’s methods. The truth seems to be that there has always been a two-way street between crime fiction and fact crime, and we’re very pleased (finally!) to present our readers with a column that represents the fact side of that street. This entry was posted in Ellery Queen, Magazine, Police Procedurals, Real Crime, Stranger Than Fiction and tagged column, forensic, procedural, real crime, review, reviews, true crime. Bookmark the permalink.